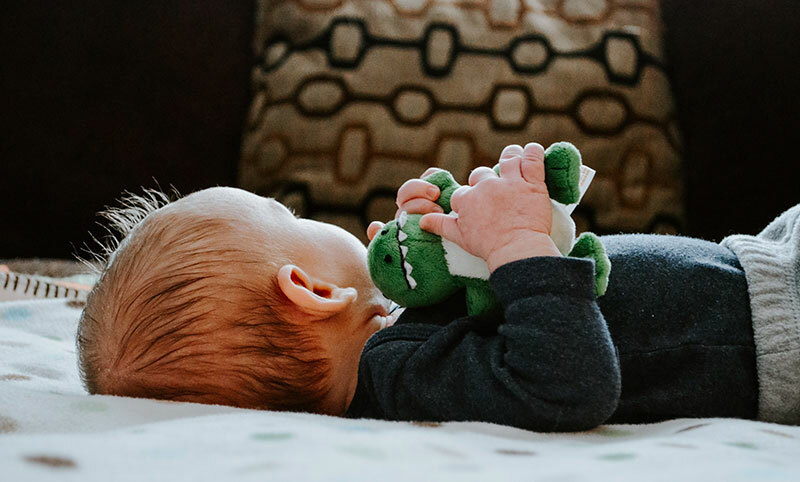 As the place where baby sleeps at night, naps during the day, and just plain hangs out on a regular basis during their first two or three years of life, a crib will most likely become the centerpiece of your baby’s nursery. Although they typically come in a standard rectangular shape, cribs are available in a number of different styles and can differ widely in price depending on the materials used in their construction. Most baby cribs are made of wood, but the quality of wood can range from the softer, more porous woods like pine, to more durable hardwoods like oak, ash, maple, and other imported woods. 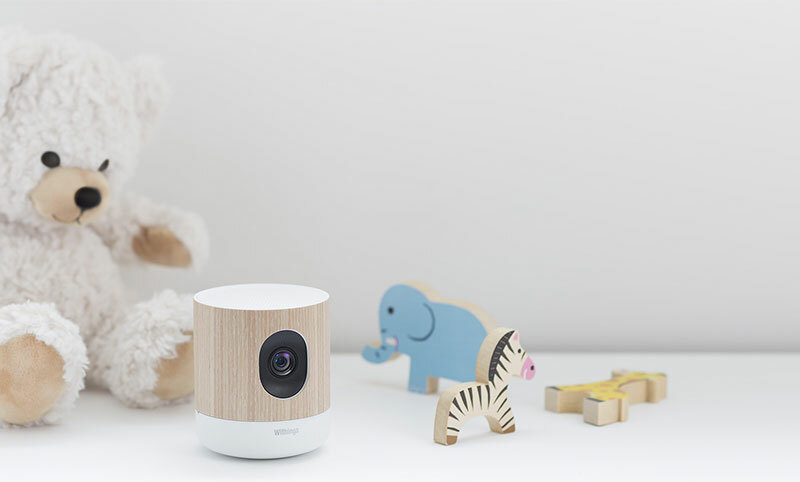 Parents shopping for a new crib are also likely to encounter a huge selection of colors and finishes, from pure whites and natural wood colors to a whole range of deeper wood stains, including lighter maple and cherry stains to the much darker mahoganies. Regardless of the color you select, the finish should be nontoxic and should not be prone to chipping or peeling. Some cribs can be purchased as part of a furniture suite, which can include matching chests, dressing tables, and armoires. While this may be an attractive option for parents who want to have a completely coordinated set of nursery furniture, these matching suites can be expensive. Some cribs are equipped with built-in storage drawers, a convenient feature that raises the overall price. Unfortunately, the price you pay for a crib doesn’t always match up with the quality of what you get. So learn as much as you can about the different components and the required safety features, and then try to find the best possible crib that fits your budget. Standard cribs: The most common style of crib, standard cribs usually have either one or two drop sides–a side of the crib that can be easily lowered and raised so that you can place baby inside without waking or disturbing her. Double drop sides offer more versatility for caretakers, while single drop sides tend to be more stable. Look for drop sides that work smoothly and quietly (and look out for potential “pinchers”). Canopy cribs: A stylish alternative to a standard crib, canopy cribs come equipped with a large post at each corner, with a metal frame over the top to secure a fabric canopy. Canopies are often available in a variety of styles and colors that can be matched up with the rest of your nursery furniture and accessories. Convertible cribs: Designed to convert from a standard crib to a toddler bed, love seat, or double bed, a convertible crib can be a good choice for parents who don’t plan on having another child. Along with saving you money over time, these adjustable cribs can also make the move from a crib to a bed a little less stressful for your child by making the transition in stages. Mattress support: As your bouncing baby grows into a bouncing toddler and discovers the joys of jumping in his crib, it will be tested, repeatedly, for strength. Attaching to the mattress height clips located at each corner of the crib, the mattress support is a metal frame that is designed to withstand all the abuse your child may dish out. Adjustable mattress height: Holding up the mattress support at each corner of the crib, multiple mattress height adjustments allow you to raise or lower the height of the mattress, a versatile feature that becomes increasingly important as your child grows larger and inevitably tries to climb out of the crib. 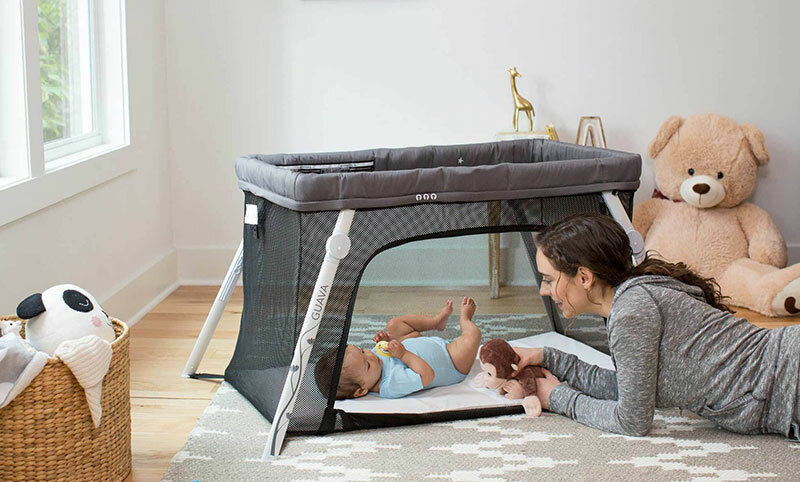 Release mechanism: The release mechanism is a very important component of a crib and performs a dual role: it allows parents to lower the drop sides of the crib for easy access, while preventing baby from lowering them accidentally. You’ll find this essential feature in one of three forms–metal rods, trigger releases, and knee releases. Regardless of the configuration, a release mechanism should always be childproof. Teething rails: These aptly named strips of plastic fit over the top of the crib’s railings and prevent little ones from gnawing directly on the wood. Teething rails are usually installed by the manufacturer, but they can also be purchased separately in 12-inch sections and attached at home. Rolling casters: Available in either plastic or metal, rolling casters should come with a locking mechanism. The ability to lock down the wheels will become more important as your baby approaches toddlerhood and begins to stand upright while holding onto things–including the side of the crib. Infants should always sleep in a crib which meets current federal and ASTM standards. Never place infants to sleep on pillows, sofa cushions, adult beds, waterbeds, beanbags, or any other surface not specifically designed for sleeping infants. Remember to always keep the drop side up when baby is in the crib. Take rattles, squeeze toys, teethers, plush toys, and other items out of baby’s crib when baby is sleeping or unattended. Remove pillows, quilts, comforters, sheepskins, pillow-like stuffed toys, and other pillow-like products from the crib. Never place your crib near windows, draperies, blinds, or wall-mounted decorative accessories with long cords. Select bumper pads that fit around the entire crib and tie or snap securely into place. Use bumper pads only until the child can pull up to a standing position. Then remove them so baby cannot use the pads to climb out of the crib. Mobiles should also be removed when baby can stand up. Make sure there are no missing, loose, broken, or improperly installed screws, brackets, or other hardware on the crib or mattress support. Crib slats or spindles should be spaced no more than 2.38 inches apart, and none should be loose or missing. Never use a crib with corner posts over 0.06 inch above the end panels (unless they’re over 16 inches high, for a canopy). Babies can strangle if their clothes become caught on corner posts. These should be unscrewed or sawed off and the remaining end panels sanded smooth. There should be no cutout areas on the headboard or footboard, so baby’s head can’t get trapped. There should be no cracked or peeling paint. There should be no splinters or rough edges. Look for the JPMA Certification Seal. Foam: Made of polyester or polyether material, foam mattresses typically weigh less and are less expensive than their innerspring counterparts. Their weight depends on the density of foam used in their construction: the denser the foam, the heavier the mattress. A denser foam mattress will provide a firmer surface for baby and will keep its shape longer, while a lighter mattress makes changing baby’s sheets every week a little easier on the back. Innerspring: Like most adult mattresses, innerspring crib mattresses come with an innerspring unit containing rows of steel coils. These coils can vary in both number and in quality and directly affect the firmness and weight of the mattress. Innerspring mattresses also have an insulator layer that sits on top of the coils to prevent them from penetrating the top layers, a cushioning layer or layers of foam or natural cotton, and a mattress cover. For both foam and innerspring mattresses, the quality of the material and the number of layers that are used in the padding, or ticking, will help determine how long the mattress will last. Some mattresses have double- or triple-laminated ticking, and many have a layer made of heavy-gauge nylon that is bonded to a layer of waterproof material. In addition to providing water resistance, a nylon layer will make the mattress more resistant to tearing. 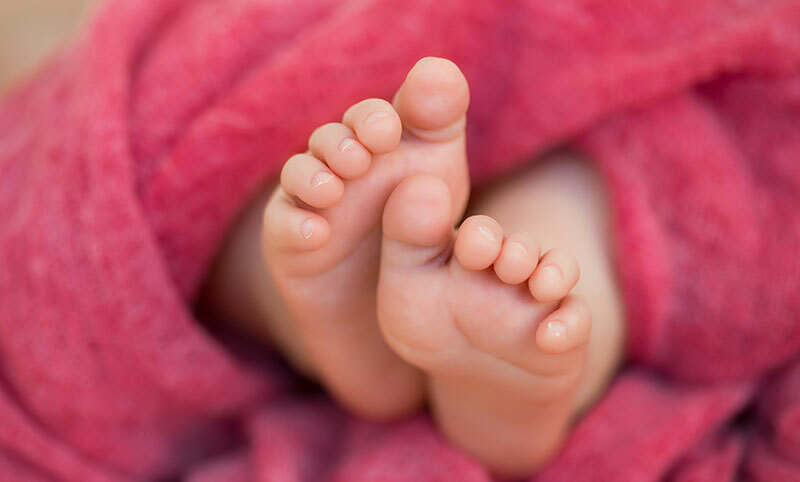 Apply the two-finger sizing test: place the mattress in the crib and try to fit two fingers between the outer edge of the mattress and the rods or spindles that run along the sides of the crib. If you can fit two fingers into this space, the space is too big and the mattress is not the right size for the crib. Baby could potentially get trapped between the mattress and the side of the crib. An overly soft mattress is a suffocation hazard, especially for infants and newborns, so choose the firmest mattress that you can afford to buy. When shopping for a foam mattress, it is a good idea to test the mattress for firmness by pressing your hand on it and seeing how quickly it regains its original shape. Look for a crib mattress with vent holes, typically located on either side. By allowing musty odors to escape, these will help keep a mattress smelling fresh over years of use. Along with the bedding you select, there are a number of accessories you can purchase to protect your crib mattress and make it more comfortable for the diminutive person who will be sleeping on it. Crib sheets, sheet savers, and waterproof mattress pads can extend the life of the mattress and are usually available in either a fitted form or with zippers. Always use a crib sheet that fits securely on the mattress and wraps around the mattress corners.